If your premature baby is in the NICU the staff and parents take every precautions in avoiding infections in the NICU but these of course cannot be illiminated fully just by handwashing alone. Sometimes infections are viral fungal or caused by direct lines leads etc attached to a babys body. After days,weeks and finally being able to come home the worst may be over but there is still the chance that your baby may catch a bug leading to an infection. So how can you take some extra steps at home to help reduce them. Don’t let things slip.Develop good habits and you are well on a way to providing a good start for a vunerable premature or sick baby.A baby so tiny hasnt built up a strong immunity to ward against infections just yet so here are sme useful tips for home and visiting other family environments. 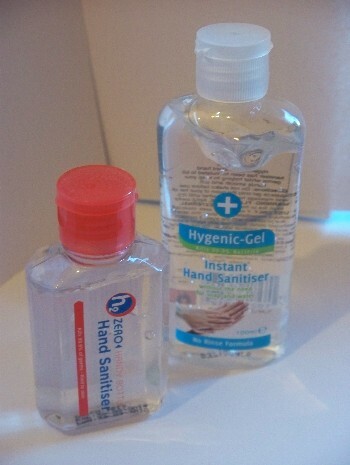 Hygenie with hand washing to prevent infections.Try to use hand gels too inexpensive now and readily available from supermarkets.No soap needed and you can put one in your baby changing bag on trips out and about with baby.Have an hand gel in each room where there is a sink and use antibacterial handwash soaps near hand basins for family members to use . Don’t leave dirty washing hanging around the floor harbouring germs get them in a linen basket with a lid on, dont be tempted to leave sweaty socks out either! 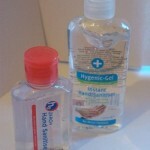 Snotty nose use a Tissue, dont leave a soiled tissue out ,bin it straight away after use and wash your hands. Tell any family member that is sick to leave visiting baby until they are well enough. wash babys own clothes seperate from adults. Hoover rooms regulary,open a window slightly to avoid bacteria in rooms acumalating. Wash bed linen regulary and towels. At Cheeky Chums the premature baby clothes superstore, the standard of good practise is all staff use antibacterial handwash soaps and hand gels before preparing and packaging all premature baby clothes/ and products orders.